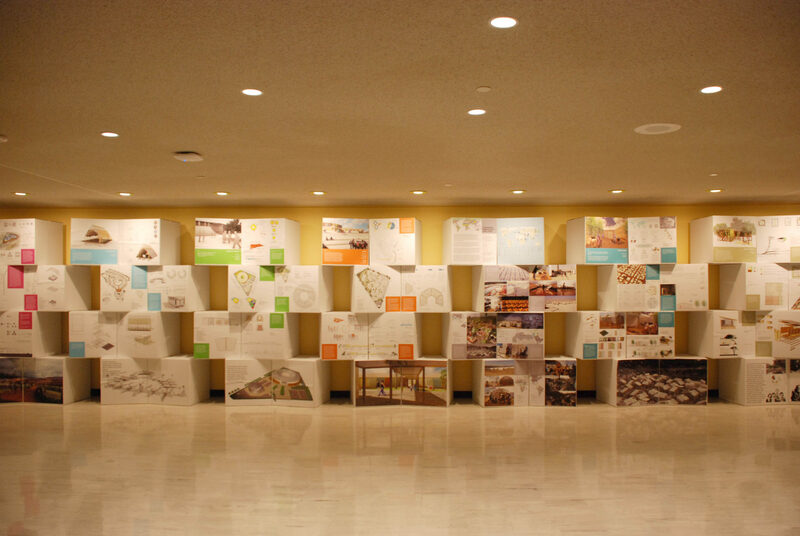 The conference and exhibition “Resilience by Design” at the United Nations, held on December 1-12, 2014, highlights the work of Open Online Academy (OOAc.org) in creating post-disaster architectural designs. During the past year, OOAc has crowd-sourced projects for resilient schools and emergency shelters for the rebuilding of areas affected by natural disasters and wars. 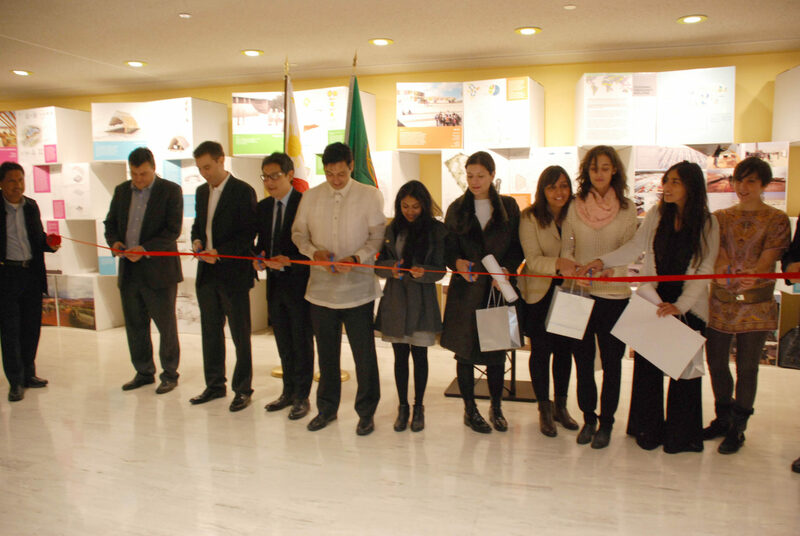 The event also marks the first anniversary of typhoon Haiyan in the Philippines and emphasized the need for sustainable solutions in response to the increasingly adverse effects of climate change. Using the powerful network of the online community, the solutions developed by OOAc assist governments, the private sector, international organizations and foundations to accomplish their mission in building resilient architecture for some of the most vulnerable communities in the world. At Open Online Academy, architects, engineers and other professionals from all over the world take action to develop a global emergency response to the natural or man-made disasters that are increasingly occurring all over the world. 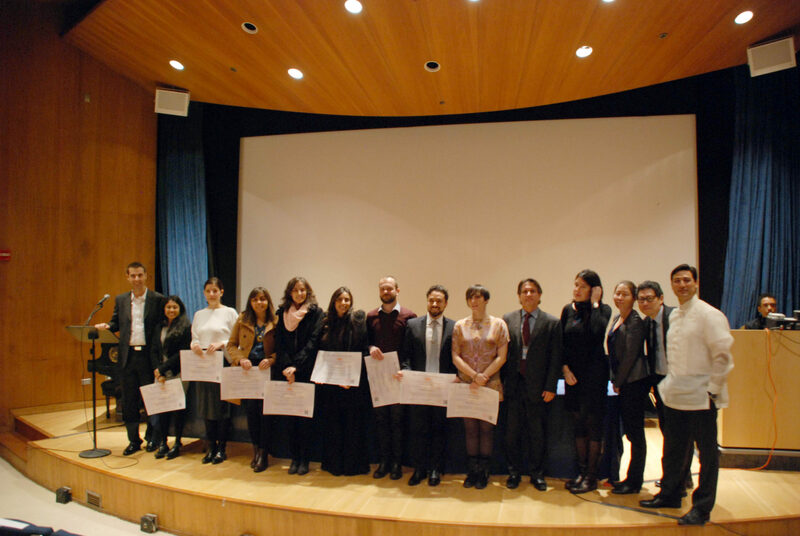 Designers from the Academy came up with projects that could minimize the suffering and prevent the deaths of thousands of people, while helping war refugees and environmental migrants with the recovery efforts. Natural disasters are happening more often due to climate change. While we cannot do much to stop them, architects and engineers can offer a temporary solution by designing transitional shelters for the recovery period. The 2010 earthquake in Haiti, the 2012 Hurricane Sandy in the USA, and the 2013 Typhoon Haiyan in the Philippines are just some of the examples of the devastating effects of natural disasters. They cannot be prevented, but providing adequate solutions for rebuilding in the aftermath can mitigate their effect. 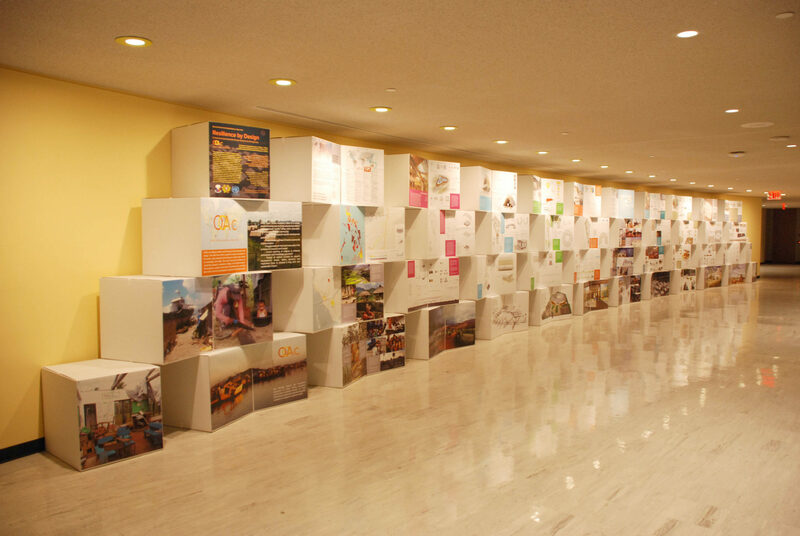 The idea for the Designing Resilient Schools MOOC came after Typhoon Haiyan (Yolanda), which devastated portions of Southeast Asia, particularly the Philippines, on November 8, 2013. It is the deadliest Philippine typhoon on record with wind speeds at more than 300 km/h, killing at least 6,300 people in that country alone. The cyclone caused catastrophic destruction in the Visayas, the location where the participants in the online course designed the first crowd-sourced resilient schools. Wars and other armed conflicts have devastating effect on people’s lives. In another online course, Designing Emergency Shelters, members of Open Online Academy designed alternatives for people who lost their homes and had to escape, leaving everything behind. The designs of emergency camps could minimize the psychological damage that refugees suffer from by creating a welcoming environment and their new temporary homes. The projects for resilient schools and emergency shelters, created in the online courses by Open Online Academy, can help the victims of wars and natural disasters. 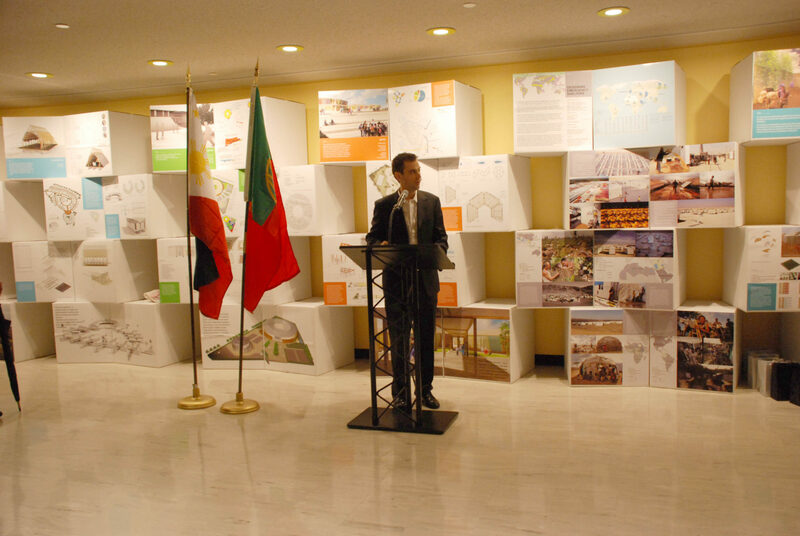 The designs are affordable and easy to build, which could be implemented by OCHA, USAID, UNHCR, WBG, and other international organizations. 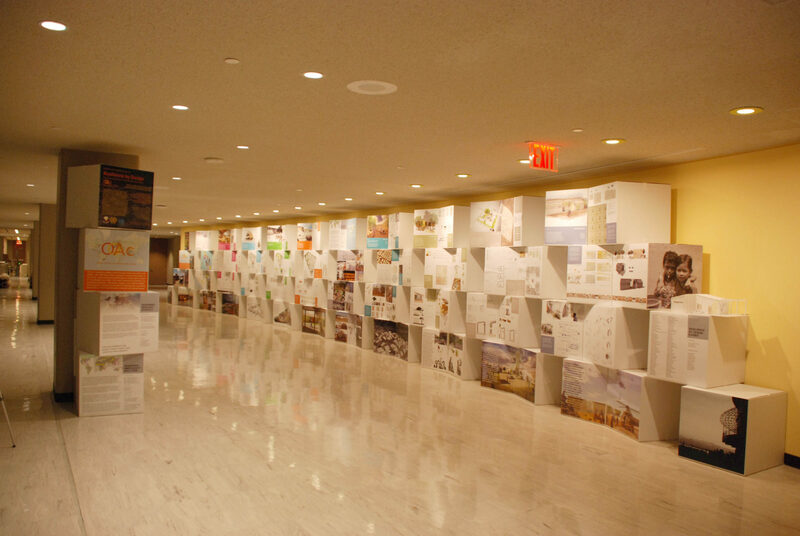 The exhibit and conference at the United Nations in New York will showcase the results of these online collaborations and provide an alternative model of how international organizations can provide solutions to global problems and build a better world.